Following over 15 years of service with the Pennsylvania Department of Treasury, Laurie joined Keane bringing with her an extensive unclaimed property background, focusing on fraud prevention, claims, and research. As a Senior Manager, she assesses clients’ gaps in compliance, performing risk assessments, and analyzing liability and fraud, and also collaborates with clients and third party auditors during state examinations. Previously, Laurie served as Technical Director for Keane’s Unclaimed Property Reporting division, ensuring that clients were compliant with state escheat laws. In this role, Laurie developed expertise in reporting as well as the development and drafting of unclaimed property policies and procedures to maintain ongoing compliance. Throughout her career, she has been involved in all areas of unclaimed property, developing and providing training on fraud, customer service, and claims within the Pennsylvania Treasury and other Unclaimed Property state programs. Laurie has also served as the Division Manager for Customer Service and Claims in Pennsylvania’s Unclaimed Property department. In this position, Laurie oversaw all aspects of the fraud, research, claims, and customer service departments.  Her experience as a tangible property supervisor and public outreach coordinator made her a subject matter expert on unclaimed property issues, and how they affect both holders and unclaimed property owners alike. Laurie holds a Bachelors of Science in Management and Leadership from Kennedy Western University. She is an active member of the Association of Certified Fraud Examiners (ACFE) and the Unclaimed Property Professionals’ Organization (UPPO).